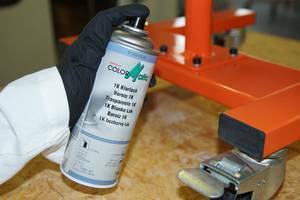 ColorMatic 1K clear coat is a UV-resistant, fast-drying clear coat that can be applied universally at all existing base coats (solvent-based). Available in glossy, satin gloss and mat quality. 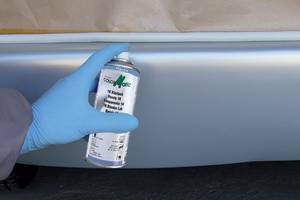 Because of its very good flow and ease of polish, 1K Clear Coat glossy is highly suitable for spot repairs with solvent-based paints (e.g. ColorMatic solvent-based). For best preparation of the surface which is to varnish, clean it thoroughly with ColorMatic Silicone Remover no. 174469 and, if required, apply a primer or filler (e.g. 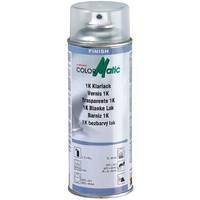 ColorMatic 2K Primer Filler no. 195327). We recommend using ColorMatic Spot Blender no. 114229 for spot repair on the edges. glossy: ideal for spot repairs and refinishing parts. 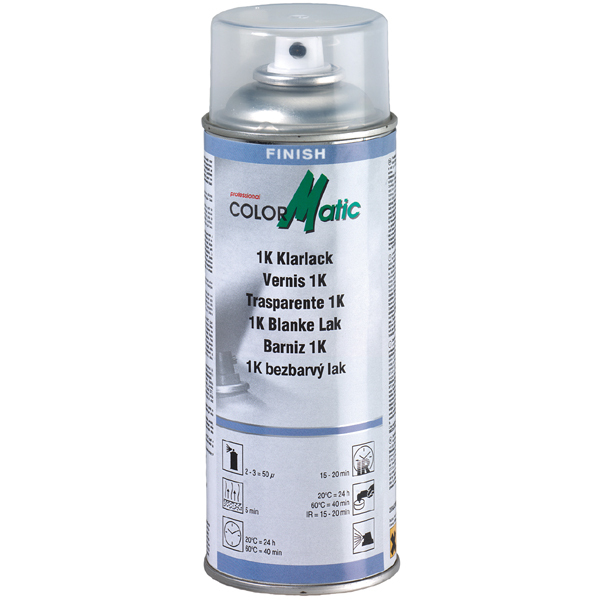 satin gloss and mat: painting of construction parts with mat look.